Diffuser Specialist is your go-to provider for all things that cover and diffuse lights in your home and workplace. In our last blog we talked about the importance of retail lighting and how it can affect your overall return. Today we’d like to get a little more personal, really personal and talk about your love life. Ok not THAT personal, but with Valentine’s Day quickly approaching, we’d like to remind you of how even the littlest things can make a big difference when it comes to showing that special person just how much you care. Here are a few Valentine’s Day romantic lighting ideas you can get a jump on now that’ll really bring the wow factor on this day of love. We’ll start out with one that will simply make their heart melt. Yours will probably melt as you’re making it. 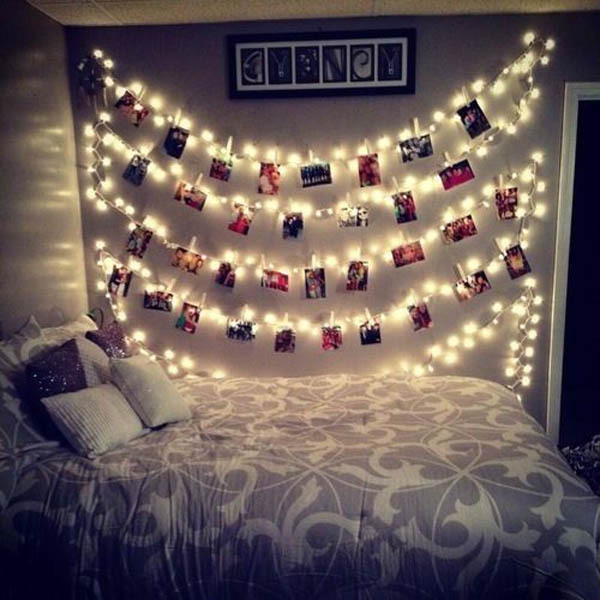 Using simple, white Christmas lights, string them in the bedroom (preferably against an open wall) and start going through all of those boxes of photos. Pick ones of you two together or ones that show their personality captured at just the right moment. In the soft glow of the lights you’ll both be taken down memory lane and be reminded just why you love each other so much. This one is pretty straight forward. 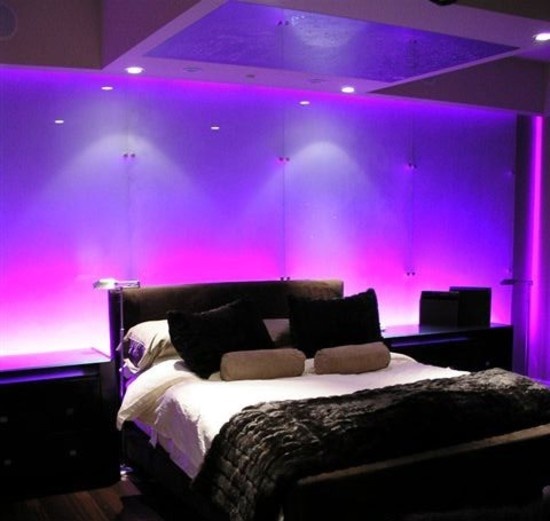 If your bedroom has outdated fixtures that only operate with an old “on/off” switch, consider replacing them with some affordable adjustable fixtures that will allow you to control the ambiance and intensity of the light. They take no time at all to install and inmany cases you don’t even have to replace the fixture itself – only the control panel on the wall. 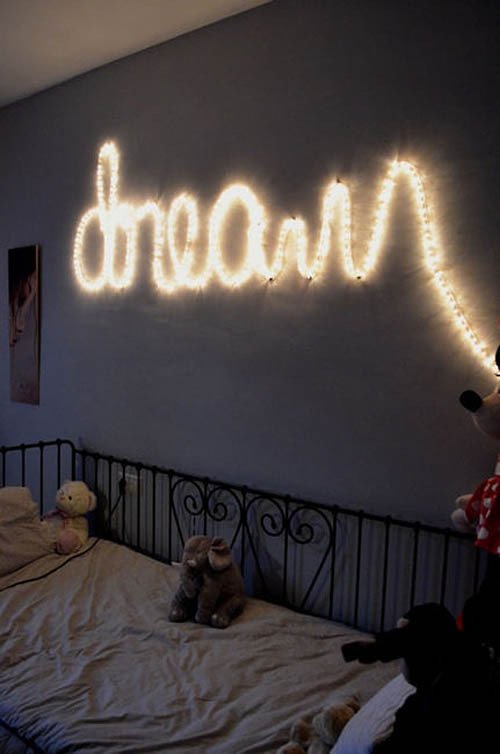 Say exactly what you mean by writing it in cursive on the wall. It is best to use tube lighting for this which can be found at most hobby shops or big box retailers. The only limit here is your wall space and imagination. 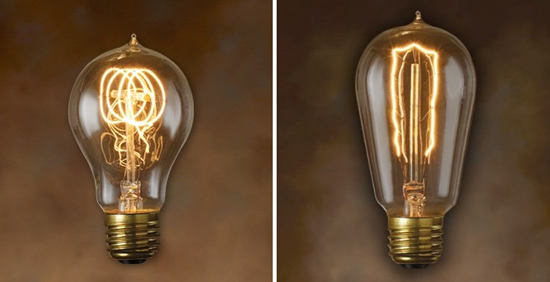 These old-timey bulbs are a pleasure to look at with that vintage vibe they imbue. 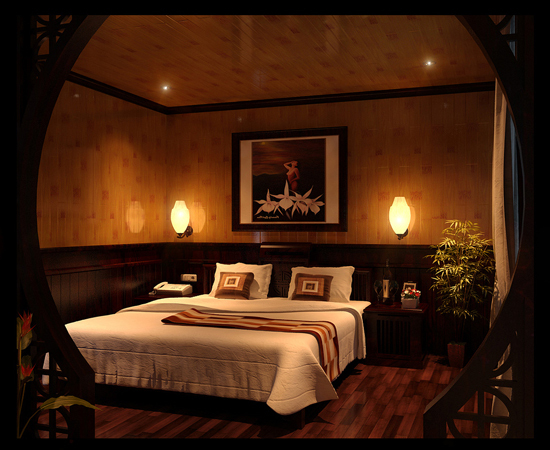 Just pop off your old ones and screw these in for instant, throwback romantic lighting for a romantic evening. If you’re looking to get a little more colorful with your lighting solutions, there’s really no better option these days than LEDs. They are affordable, bright, and long-lasting. With their rotating palette of colors your night will definitely be dynamic. If money is no object (and why would it be when it comes to the person you love) some people go all-out fancy and rent a chandelier just to set the mood. Yes, we said ¬rent. 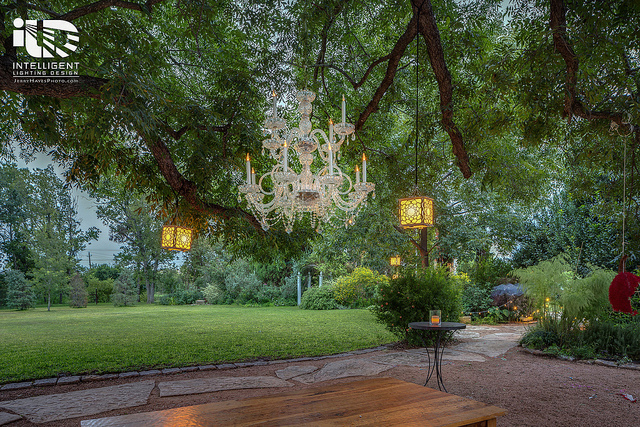 There are actually companies that will let you rent chandeliers for special dinners, parties, and events. What would be more romantic than a dinner outside underneath the shimmering glow of a thousand crystals? Of course if all else fails and even if you opt for one of the creative ideas above, nothing beats the sight and smell of candles. You can never have too many and the sight of an open flame is sure to ignite a fire in the heart of your significant other. Nothing above take your fancy? Well make sure you at least have all your light fixtures and lenses in working order! Replace those old, outdated, or cracked diffusers with some from Diffuser Specialist. We carry a wide range of products for your all your flurorescent lighting needs, and if we don’t have it – we’ll make it.